We spend a lot of time sitting at our desks and while it may not seem like it, sitting uncomfortably on a long term basis could really cause havoc with our bodies. Poor layout and workplace design play a contributing factor to many workplace injuries and illness in an office environment. Simple adjustments to improve your ergonomic workspace such as making sure your chair is the correct height, ensuring your equipment is spaced out and maintaining a good posture can all help to keep you comfortable and injury free. The infographic below shows some key stats on just how important it is to keep a comfy workstation. It’s not often in life you have a genuine “Eureka moment” but I had one whilst attending an ‘Accelerate your growth’ training session at HPE in Bracknell. Being a Marketing person you might ask yourself “what was I doing at a sales training event?” So let me cover that off up front…I was spying, there I said it. I wanted to see how HPE delivered content to the Channel so that I could pick up some tips, make some contacts and perhaps even learn a thing or two about the products and services on offer, and boy did I learn! As with most things in life familiarity does breed a certain level of…well if not contempt, then at least a lack of appreciation, and as somebody that writes and talks about IT in general and HPE in particular on a daily basis, I can be accused of sometimes losing sight of what the technology we eulogise about can do for businesses in the real world. Westcoast wins CRN Distributor of the year! If you're in the IT channel industry and weren't at the CRN awards last night then you definitely missed out. The event was a huge success from start to finish and with a great line up of shortlisters and Frankie Boyle hosting, it certainly had us all on the edge of our seats. 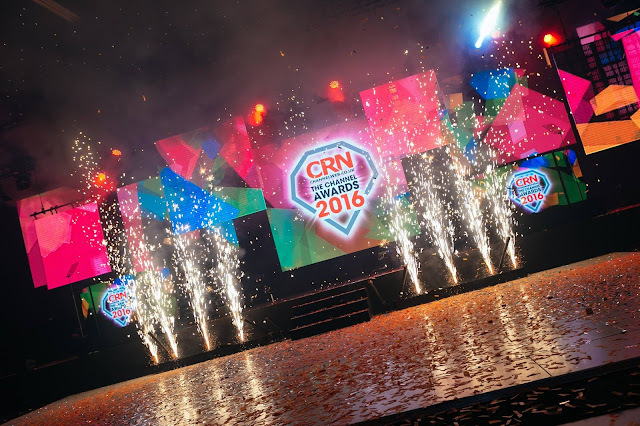 It was a great night for Westcoast having been shortlisted for 3 awards, and being crowned CRN's Distributor of the year it really was the highlight of the night! The 1st of October saw the launch of Windows Server 2016, and one of the biggest changes in licensing for Microsoft’s server operating system. The new licensing model is unlike any other and is the perfect balance between traditional IT responsibilities and needs. Take a look at the infographic below which explains 3 great reasons why you should consider the new Windows Server 2016. Microsoft have announced some planned price increases to all open licensing programmes, coming into effect from January 1st 2017. This is designed to bring the UK pricing in line with the rest of EU/EFTA. Even after this price adjustment, the pricing will still remain highly competitive. The afternoon of 16th November…We can’t wait. The smell of coffee, the taste of cakes, and the satisfaction of us being able to enable our resellers on how they can enhance their ability to sell a multitude of cloud solutions. We are so excited to be part of what is set to be another great cloud event. 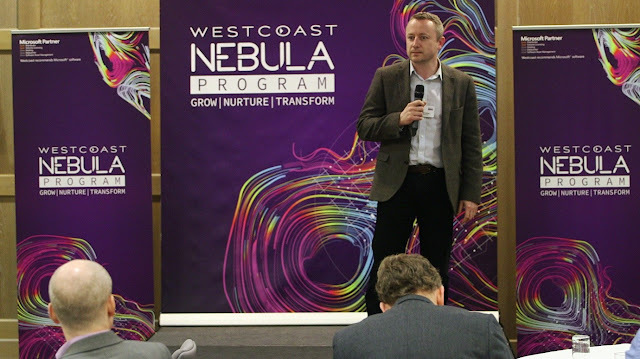 On the 16th of November Westcoast are hosting the next in our line of Nebula events at our fantastic Milton Keynes office and demo centre. Although you will have to venture around the many roundabouts of Milton Keynes, the parking is plentiful as well as the smiles and experience from the Westcoast Team you’ll get to meet in person. If you work within the IT industry and didn’t hear about the HP split last year then you must have been either ridiculously busy or living under a very large rock…on an island…somewhere in the South Pacific. If though you’re like the rest of us, then you would have no doubt been waiting for the inevitable stumbles, disruptions, delays and apologies that an undertaking of such enormity should by all rights bring, and were most likely as surprised as we all were when everything went remarkably smoothly.